This week was terrible. Valentine’s Day was perhaps as hard as Christmas yet without the anxiety of the run-up. There was stuff everywhere. Triggers as I like to refer to them. Little, inconsequential atomic bombs that explode in my heart when I least expect. There are events that you simply cannot prepare yourself to experience. It’s a lot like a sucker-punch only the pain is much deeper than it’s impossible to express with words. A few days later I found myself never been more challenged on the job than I was at that moment. There was pressure from all sides and I’m still getting used to a relatively recent change in my role. Most call it a promotion, I call it a test. It’s an opportunity for me to demonstrate what my faith teaches, that for me, it’s imperative that I put the needs of others before my own. I want others to know the God that I know, and I realize that every action I take, every word that I say, either points others toward Him, or turns people away. While perfection on this line is unattainable, excellence is certainly within reach. But to demonstrate excellence requires practice and the best way I’ve found to do that is to make it a daily habit. So when the day finally arrives, it starts as others do these days with that helpful first cup of coffee. I know it’s going to be a rough day when an 8 a.m. call finds its way onto my calendar. These are not the calls you look forward to but they do have the potential for a good dose of character development. With this call on my mind, the gravity of the day had yet to weigh upon me as I trudged my way to my basement for the call. It was there that this weight, the weight of grief, fell upon me like an anvil once again and all I wanted to do was hang up the phone and go back to bed. But that’s not an option for me. It’s not a choice that our family is allowing ourselves to make. We must press on, looking forward to tomorrow with the hope of our imminent reunion. I like this verse here, “For whatever was written in earlier times was written for our instruction, so that through perseverance and the encouragement of the Scriptures we might have hope.” (Rom 15:4) It’s always helpful to remember that everything has a purpose; everything has a reason, from the pages of an Ancient Book to the seemingly mundane morning commute to the loss of something or someone most dear. On the call I was on the receiving end of the “Help me to help you” speech with a splash of “I’m disappointed in you.” At the time I remember thinking about how many hours I’ve put in over these past few months as it feels like I’ve hardly had any time off since the Christmas break. I’ve been working ridiculous hours, and the boss tells me that it’s time to “work smarter, not harder.” I wasn’t thinking positive thoughts, but in fairness, I wasn’t entirely focused on work either. I remained mostly silent for the first 20 minutes, then let lose my torrent and when it was over, I surprised myself that I only used one expletive. Not exactly pointing people to a deeper knowledge of God, but hopefully not doing too much damage either. I didn’t care about the project. I didn’t care about work. It was just something that I’ve been doing to pass the time. Perhaps as a means to distract myself so that I don’t dwell on the things that cannot be. 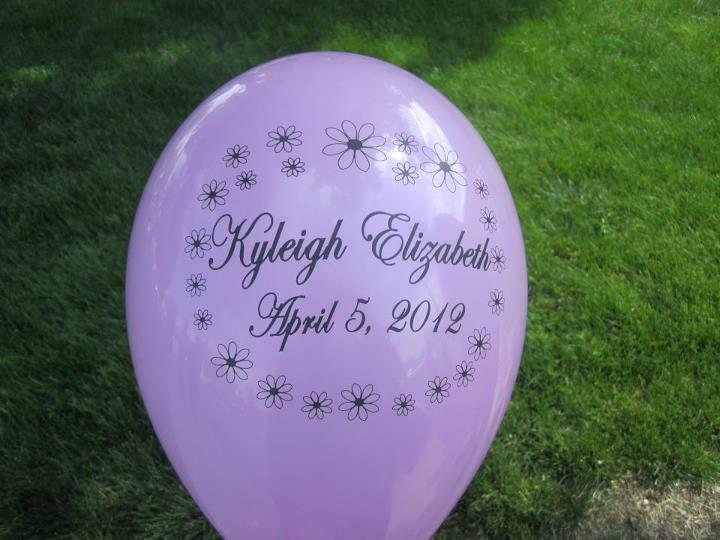 Later that morning we found our way to the cemetery and placed a balloon and small teddy bear at Kyleigh’s grave. There were the flowers that I placed the week before, still hanging in there bringing a splash of yellow to the otherwise brown and monotone outdoors that naturally occurs this time of year in the mid-west. It’s depressing. Yet even at its worse, it’s a reminder that spring will soon be upon us. Shoots of green are starting to appear, and along with that, is the reminder that renewed life is just around the corner. It was somewhere around this time that this new Valentine feeling struck me. Boom! I’ve said before that I try not to dwell on the things that I’m missing. Where Kyleigh is, pain is not. While I know that I would have ultimately failed her and caused her pain as an earthly father, He will always provide for her as her heavenly Father. He made her anyway; I’m just the vessel He chose by which to create her. But it’s more than just a platonic relationship. He bound our hearts just as He did with mine and Leann’s or with mine and my boys’. I care more deeply for them than for any of the other people whom are all created in His image. That’s the way it works, and it was by His perfect design that it should be that way. On this day, I couldn’t help but feel that I’m missing it. I miss what it means to have my daughter here with me. To hug and to kiss my Valentine. I miss her so deeply, and every time a child needs a hug, particularly those little girls in the 3 – 5 yr range whom you inevitably encounter as a children’s Sunday school teacher, I’m pierced to the heart with the pain that I’ll not see her grow or watch her learn. I think she’ll forever be my infant daughter, as if stuck in the picture frames that surround me. No more bombs went off the rest of the day and we enjoyed family time together that night. We enjoyed laughter, hugs and bacon pasta – a brilliant concoction from Leann’s kitchen. The next day came and went but one of the decisions coming from the call on Thursday morning was that I needed to take two days off. I needed a little time to push the reset button and to allow my mind to get a clear handle on what needed to be done. It’s occurred to me that I was wrong on Thursday morning. I was wrong to think the project doesn’t matter or that work doesn’t matter. It all matters. Everything that happens to us, through us, and for us, matters profoundly. We don’t understand it and often times we certainly don’t like it, but that doesn’t make it any less important. The passion that we put into life is proportional to the joy that we get out of it. I’ve learned that on the very same day that I was feeling her loss so profoundly, another activity was progressing. Some months back a few friends of our family asked to orchestrate having a marker placed for Kyleigh at the Children’s Memorial Garden at a park in the town where we live. Their gift was a precious offer as this was something Leann and I had discussed some months back but hadn’t yet acted upon. I’m grateful we didn’t. They asked for our help in deciding on the wording for the marker and we felt it best to use “Always Remembered, Forever Loved.” Kyleigh’s influence is bigger than us. We can see her impression on the world around us. I’m grateful for that and I pray it’s something that continues to blossom. It gives hope to a grieving family and it brings fullness to a void that will someday be repaired. We love your dark curly hair. We love that your pictures adorn our home, Daddy’s office and friends refrigerators. We love the presence you have in your brothers’ lives. They love you so much. We love the impact that you have made on our lives. You have taught us how to love more completely and recognize the abundance of opportunities that we have to serve others. We love that love is all you have ever known. There is no pain, no sorrow, no hatred where you are, only love. Happy Valentine’s Day Kyleigh! We love you!